Carroll Hall’s simple arms, adapted from the historic Carroll family Crest. 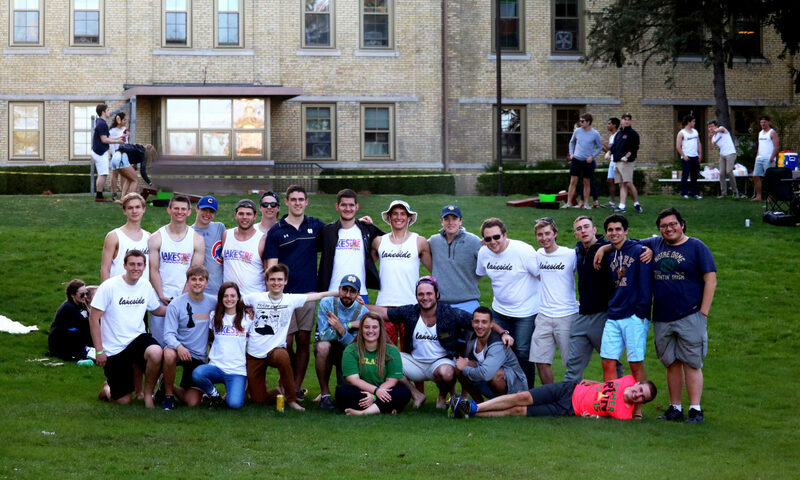 Residential life is one of the most distinctive characteristics of life on campus at the University of Notre Dame. And Carroll Hall is one the most distinctive communities on campus. Carroll is the smallest residence hall and besides their moniker as the Vermin, residents also love to refer to themselves as “The Best 100 Guys,” a testament to the brotherhood and incredible fraternal spirit that has developed due to Carroll’s small size and physical distance. The building was constructed in 1906 as the Dujarie Institute, a scholasticate (house of formation) for the Brothers of Holy Cross named for Fr. Jacques-François Dujarié, C.S.C. (1767-1838), a key figure in the foundation of the Congregation of Holy Cross and specifically of the Brothers. The bricks, like from all of the other oldest buildings on campus, were dredged from two lakes on campus. For sixty years the building housed young brothers who had made their first vows and were studying and training before final vows. It is the only building at Notre Dame in which a saint has lived, housing Saint André Bessette of Montreal for two brief periods in 1920 and 1927 for general chapters. In 1966, the University purchased the property from the Brothers and renamed the building Carroll Hall after Charles Carroll, the only Catholic signer of the Declaration of Independence and cousin of Archbishop John Carroll. Legend has it that the Vermin nickname comes from the rodents who took up residence in Carroll in the year between the departure of the Brothers and the arrival of students in 1967. Carroll initially housed graduate students, becoming an undergraduate residence hall in 1977. A young John Carroll of Carrollton. The name Carroll Hall was borrowed from the old high school wing of the main building. Built in 1879 after the old structure burned down, the current main building was constructed with the purpose of being the central educational facility for Notre Dame. The east wing served as a dormitory for college students, while the west wing (Carroll Hall) served as a dormitory for preparatory students until 1946 when the wing was converted to office space. In the Carroll Hall study room you will find some pretty cool pictures of the old Carroll wing.